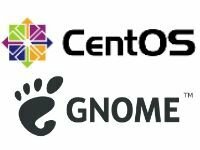 CentOS is really slow to update versions of software’s it maintains so we’ll have to add an external repo to install PHP 5.6 on our server. Make sure you backup everything on your server. Note: The following can cause havoc on your system, be sure you know what you’re removing before proceeding. Before hitting ‘y’ make sure you go over the dependencies being removed, you also might want to take note of them to install them back with PHP 5.6.